Mary's show at The Forum, Melbourne is now sold out. For all other dates on 'The Last Call' Australia tour, please see the concerts page. 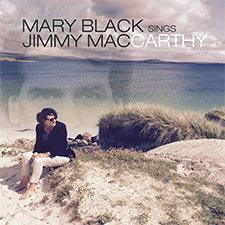 Martin Flanagan wrote a piece about Mary for her upcoming Australian "The Last Call" tour for The Sydney Morning Herald titled "Mary Black: The Irish singer who took her music to the world". You can read it on the newspaper's website or in the library on this site. I would like to disassociate myself from a badly worded advertisement which appeared in the Irish Daily Mail on Saturday. This campaign used my name and my manager Joe O’Reilly’s name without our consent. We never authorised this advert which attacks Irish Radio for ‘shafting’ Irish Music. I signed up for a change in government legislation to increase the amount of Irish music played on radio in Ireland. I firmly believe that Irish musicians need to stand together on this issue, however targeting Irish radio directly is not the answer - the solution lies in a change of government legislation. This change would better represent Irish artists as in the French or Canadian models where a much greater percentage of airplay is given to local/national artists. Mike Wilson, a long time Mary Black fan, has started a series of blog posts in which he will discuss each of Mary’s albums in turn. Though Mike has a broad range of musical interests, he'll tell you himself that for him all music begins with Mary Black. Join us as we follow Mike on his journey through Mary’s extensive discography. You can now listen to the full podcast "Róisín Meets... Mary Black" in which Irish Times journalist Róisín Ingle talks with Mary about one of Mary's passions: promoting home-grown Irish music on the radio. She tells Róisín about her upcoming Last Call tour in Australia, her last tour abroad. And they talk about her musical family - daughter Roisin O and son Danny O’Reilly, lead singer of rock band The Coronas. Legendary Australian singer-songwriter Shane Howard has been announced as a special guest for Mary's only Sydney show at Enmore Theatre on 10 March. 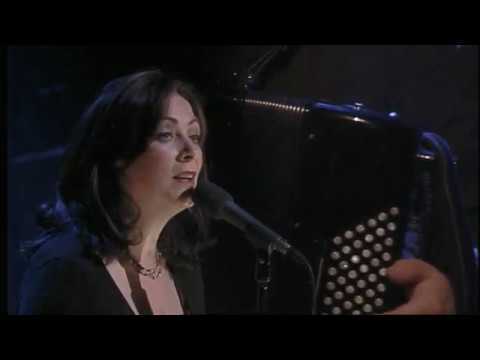 The pair have a long history of performing together in Australia & abroad - Shane's 1993 song Flesh and Blood went on to be recorded by Mary who had a top 5 Irish single with her version of the song, and they have toured Ireland, Australia, The Netherlands and the US together. She has since recorded many of Shane’s songs. Shane has recently been appointed a Member of the Order of Australia (AM) for his service to the performing arts and will join Mary on stage for a few songs in Sydney only. This will undoubtedly be a very special evening. I’m delighted to announce my 2017 Irish Tour. This tour is all the more special since I’ve completed my “Last Call” abroad with the final leg in Australia in 2016. I’ve chosen some of my favourite venues and I’m bringing my amazing band of musicians: Bill Shanley, Pat Crowley, Nick Scott and Richie Buckley. Looking forward to catching up with many of my old friends along the road in Ireland. It is with great regret that I must inform you that we’ve had to cancel the concert in Melkweg, Amsterdam, on October 14th, next. We were given to believe that it was a 600 seated venue but when tickets went on sale we discovered that it was a partially standing concert and I felt that this wasn't good enough for my audience or for me. I will endeavour to find another venue that is suitable as soon as possible and try to make it on the same date. Sincere apologies for the inconvenience - anyone who has bought tickets online via Ticketmaster should get an e-mail from them explaining how to get refund. Mary is very happy to announce the second leg of her Last Call tour in the USA. As there were so many towns and cities Mary didn’t get to say farewell in the first time around she has decided to return in July/August 2017. Of course, this means she will not be playing the places she visited on the first leg of her Last Call tour. Please watch the website for updates as concerts are confirmed.